MARSHALL, Texas – There has been an increase in house burglaries in Marshall but there are things you can do to protect your family and your home. 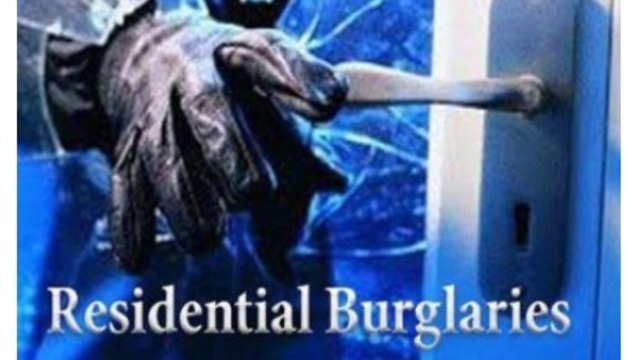 The residential burglaries are city-wide and happening at various times of the day and night. Marshall Police want to remind residents to report any suspicious behavior in an effort to reduce crime in the area. The most important thing you can do is to call police to report a crime or any suspicious activity. Be a good neighbor. Make your home appear occupied and make it difficult to break in. Do not leave your doors or windows unlocked. Keep your garage door closed and locked. Install motion lights around the outside of your home. If you have a home alarm system, use it! Alarm systems are only useful when you remember to active them. Never leave keys under doormats, flowerpots, mailboxes or other “secret” hiding places – burglars know where to look for hidden keys. If you notice anything suspicious in your neighborhood, call 911 immediately and provide the dispatcher with as many details as possible about the person and or suspicious vehicle.